Human Resources and Finance employees ready to serve lunch. Garver’s Human Resources and Finance teams left the office for a lunch hour, but they didn’t go to a restaurant. 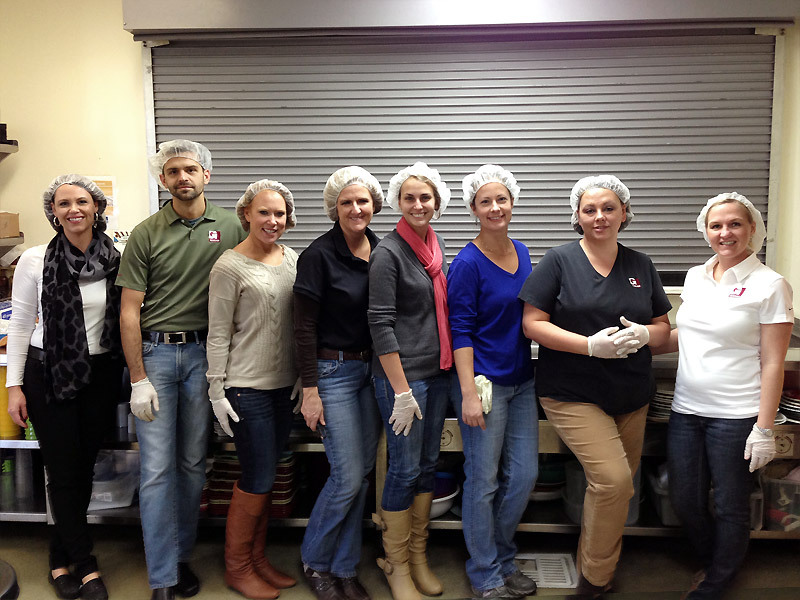 Instead, several employees from the North Little Rock, Arkansas office spent their hour serving others at Our House. Our House is a charitable organization that shelters the homeless, trains them for jobs, and assists in their transition from poverty. The Our House facility in southeast Little Rock shelters up to 80 residents, with 220 meals served every day. The Garver team didn’t just serve a great meal for over 50 people­— they also cooked pots of homemade chili and brought sides, desserts, and drinks.